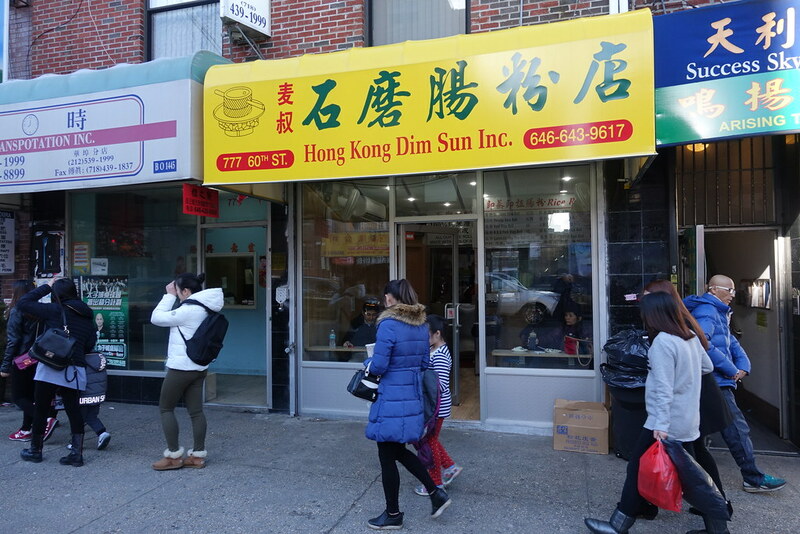 Yesterday I spotted Hong Kong Dim Sun [sic], a new restaurant on 60th Street, not too far off the corner of 8th Ave in Sunset Park. Closer examination revealed that the small menu primarily consists of steamed rice noodle rolls or cheong fun with a variety of fillings and a smattering of other dishes including scallion pancakes. 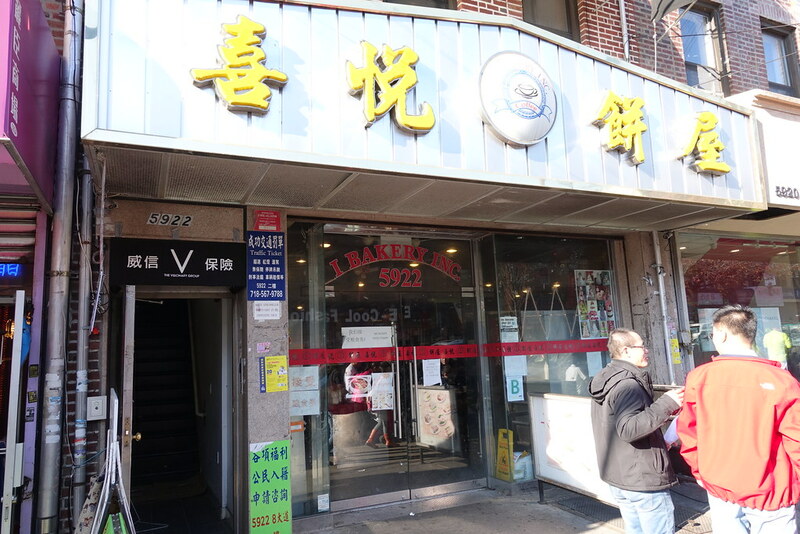 Just around the corner at 5922 8th Ave, I Bakery has a comprehensive menu of stuffed, steamed rice noodle rolls plastered onto a fence outside; possibly this is forgotten signage leftover from when this was Savoy Bakery. Who knew that south Sunset Park was such a cheong fun hotbed? I’ll report back with my findings.